Nominations will soon close for the Scottish Heritage Angels Awards 2017, and groups and individuals – or ‘Angels’ – who have played a special part in caring for, recording and celebrating the nation’s historic environment are being urged to enter before the deadline of Friday 11th August. Last year saw entry submissions from the length and breadth of Scotland, with eventual winners including Mark Cranston, for his remarkable efforts to collect, catalogue and research Scottish bricks, and Dig TV, a television channel run entirely by young people to highlight an archaeological dig in Dumfries, which scooped the first Young Heritage Angel award. Nominations close on Friday 11th August. A panel of heritage experts will have the tough task of whittling down shortlists for each category and a panel of judges will choose the eventual winners who will be announced at the Scottish Heritage Angels Awards ceremony on Monday 16th October at the Assembly Rooms in Edinburgh. John Pelan, Director of the Scottish Civic Trust, said:” With just days to go until the deadline, we’re urging people to get their entries and nominations in before 11th August. Andrew Lloyd Webber, whose charitable foundation helped establish the Scottish Heritage Angel Awards, said: “‘I am delighted that the Scottish Heritage Angel Awards are open for another year of applications. For full details on how to enter the 2017 Scottish Heritage Angel Awards, nominate someone else for an award or find out about our previous winners, please visit www.scottishheritageangelawards.org.uk. 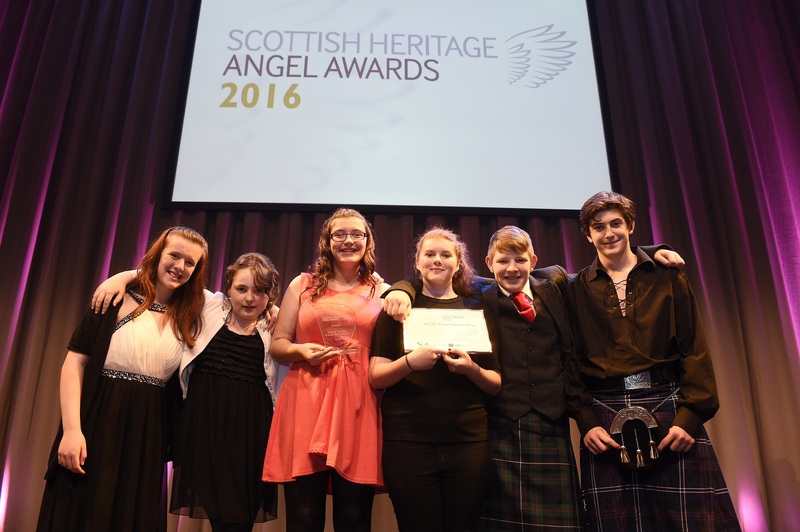 Keep up to date with the latest from the Scottish Heritage Angel Awards on Twitter at @ScotAngelAwards.